MASS RITES. Suicide victims within the Archdiocese of Leyte can be given a Mass rites inside a Church, a deviation from the old tradition of the Catholic Church prohibiting them to be given the last rites. The change of position was disclosed by Father Chris Arthur Militante, communication officer of the archdiocese. TACLOBAN CITY- Suicide victims within the Archdiocese of Palo in Leyte could now have their last Mass rites at the Church. 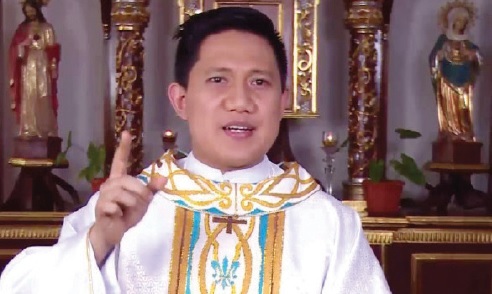 This after the priests in the archdiocese, headed by Archbishop John Du, agreed to ‘relax’ their rule on no person who died due to suicide would be given a Mass inside the church, Father Chris Arthur Militante, spokesperson of the archdiocese, said. Fr. Militante said that this change of position by the archdiocese on the issue was agreed during their gathering or presbyterium held on April 11. According to Militante, while those who died could still receive the requiem mass, this is not held inside the church but either in the house of the suicide victim or at the cemetery. “But the archdiocese decided to relax this rule and will now afford a Church mass for those who died due to suicide during our presbyterium held last Thursday (April 11). It’s because of new studies or outlook that suicide is now considered as a mental illness and at the same time, as part of the (Church’s) pastoral concern to its flock,” Militante said during the ‘Express It At The Park’ media conference on Saturday(April 13)held at the Leyte Park Resort, this city. Archbishop Du is set to issue a circular on this issue, he added. While there is no actual data on the number of persons who commit suicide in Leyte or the rest of Eastern Visayas by the police authorities, there is a view that cases of suicide are on the rise. The police authority does not consider suicide as a crime incident unless there is a view of a foul play. Fr. Militante said that with this change of position, this will provide relief to the loved ones of those who committed suicide. “While the Church remain its position that committing suicide is not an option and does not condone it, allowing the victims to be given a Church service, in the eyes of their loved ones, they will not feel isolated and that the Church does not limit or restrict the rights of their loved ones(committed suicide),” he said. Militante,35, said that in his case, he attended two masses involving suicide victims held outside the church of which was a teenager. He added that a former seminarian from Leyte has committed suicide by jumping in a high-rise building in Manila dues to depression just last month.